The Salt Lake Tribune caught up with Karl Malone, who turns 50 tomorrow, a fact that ought to make any kid who followed basketball closely in the '80s and '90s feel really old. Malone tells the newspaper the story of his first visit to Utah in 1985, a little more than a month after the Jazz drafted him No. 13 overall out of Louisiana Tech. The visit fell on July 24—Malone's birthday, but also the day of Utah's annual Pioneer Day, an officially recognized holiday in the state that commemorates the entry of Brigham Young and other Mormon pioneers into the Salt Lake Valley back in 1847. 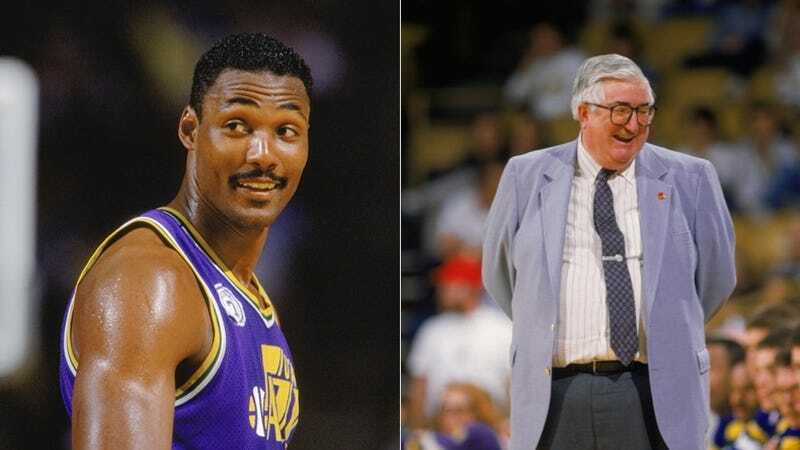 Frank Layden, the Jazz's coach at the time, asked Malone to ride on the team's float during that day's parade through the city. Layden went on to tell Malone the parade was for Malone's birthday. "That’s no urban legend," Malone said. "That’s the truth. ... I was waving like a [beauty] pageant queen. If there were cellphones back then, I would have called my mom and said, ‘You won’t believe it. All of Utah is here for me.’"
When the parade ended, Malone told Layden it was "amazing" so many people helped his celebrate his birthday. His new coach laughed and said, "I can’t believe you fell for that one."